We don't know exactly how much comes to the sea through rivers, how much is washed off beaches and how much is lost from ships. 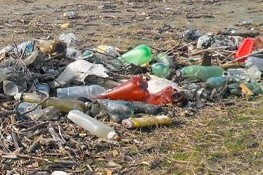 But when we find plastic bottletops in the stomachs of birds or turtles, we know that something needs to be done. This report summarizes Coastal Watch’s survey results and its many achievements.